Photo courtesy of APA. Description courtesy of APA. 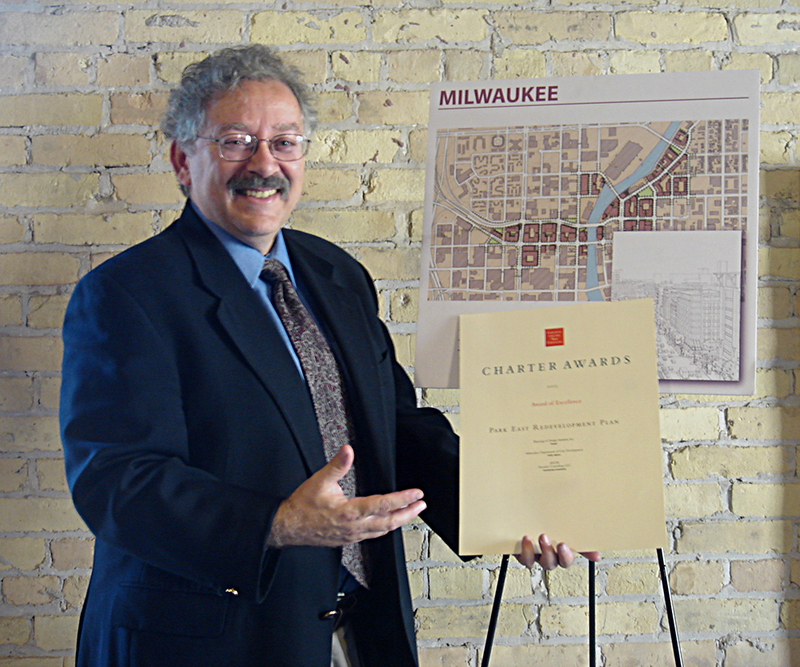 For more than four decades, Larry Witzling has inspired generations of planners and urban designers. As an active practitioner, and as a professor at the University of Wisconsin-Milwaukee (UWM), Witzling has shared his extensive knowledge with students and aspiring professionals. He has always encouraged his students and colleagues to push the boundaries of innovation and excellence in their work. Photo courtesy of GRAEF. Description courtesy of APA. 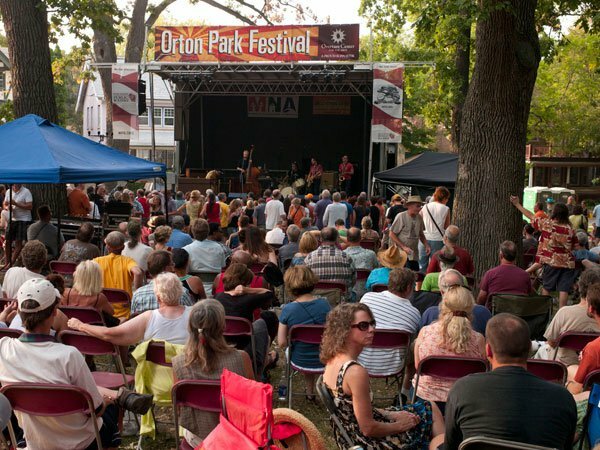 Located on Madison's Isthmus between Lake Mendota and Lake Monona, Williamson-Marquette is one of Madison's oldest neighborhoods. From its earliest beginnings in the late 1850s, Marquette, as it commonly is known, has embraced diversity. Grand Victorian homes were built along the lakefront, and single family Queen Annes and two flats filled the adjacent grid. Along Williamson, the neighborhood main street, modest workers' cottages were sandwiched between shops, taverns, implement dealers, and blacksmiths. Photo courtesy Brent Nicastro. Description courtesy of APA. 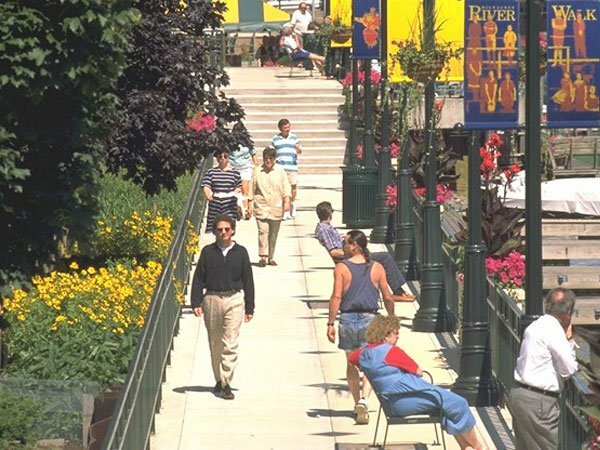 Milwaukee RiverWalk was planned as a down-to-earth public space where residents could take peaceful walks, dine outdoors, and access the river for fishing, kayaking, and canoeing. It has been more successful than anyone involved with the unique public-private initiative ever imagined. Construction of the $35 million pedestrian-only walkway, which has one of the most innovative bridges found anywhere, increased the value of adjoining property by more than $500 million. Removal of a dam at the northern end of the walkway, a cleanup of river pollution, and wastewater treatment improvements have enhanced water quality and helped restore fisheries to the river. Photo courtesy of the Milwaukee Department of City Development. Description courtesy of APA. Recognized for its exceptional concentration of architecturally distinguished homes built during the late 19th and early 20th centuries, East Newberry Boulevard is an iconic example of the boulevard planning concepts espoused by Frederick Law Olmsted and tied closely to the construction of two Olmsted-designed parks at the east and west ends of the boulevard. 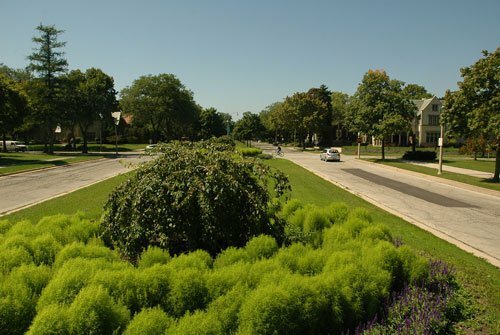 The boulevard's majesty is enhanced by the works of several notable architects and builders from the area at the time. 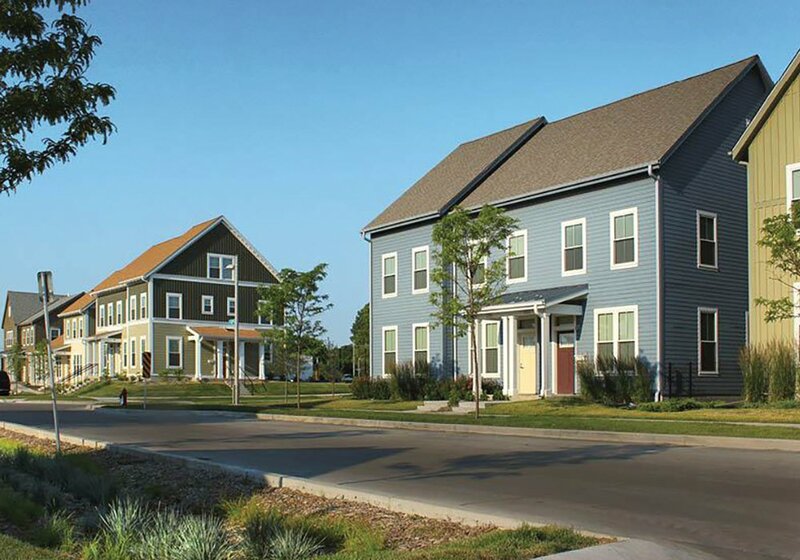 These well-crafted, unique houses were designed not just as showplaces but to withstand the test of time. Photo courtesy of Dave Lahaye. Description courtesy of APA.